I’m not normally a fan of faux-by-fours – those jacked up road cars with mock skid plates, worsened aerodynamics and compromised economy. 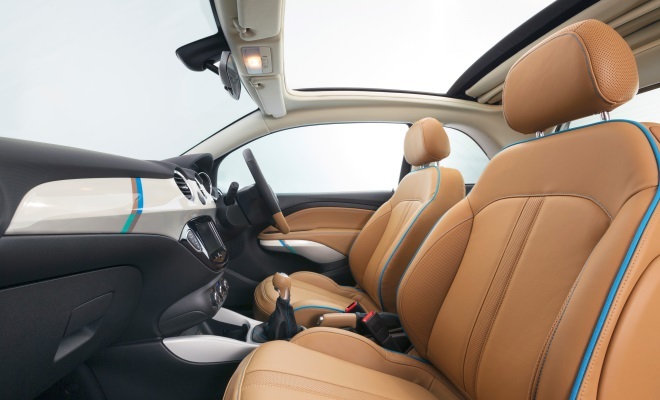 But I might make an exception in the case of the Vauxhall Adam Rocks, unveiled at the Geneva motor show this week. 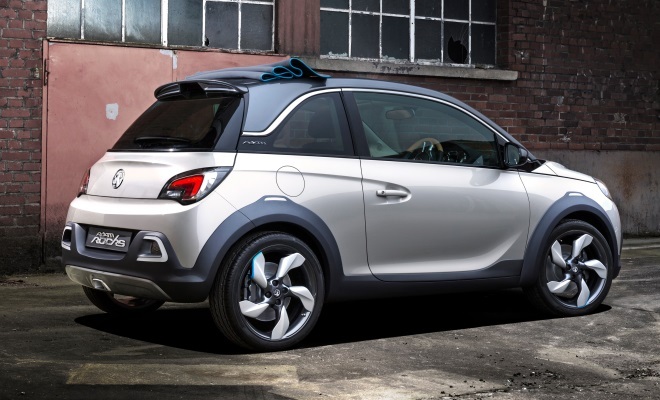 I can’t help but like any small car that’s big on character, and the Rocks concept does a comprehensive job of trumping the standard Vauxhall Adam in visual appeal. When I first clapped eyes on pictures of the Adam, back in July last year, it didn’t quite work for me. It seemed to be an odd mismatch of rounded forms and sharp details that didn’t quite gel – as if the designers couldn’t decide between spiky aggression and cute cuddliness and wound up trying to do both. I’ve since seen an Adam parked at my local Vauxhall dealership, though I haven’t yet driven one, and wasn’t exactly transfixed. I actually walked past the car before realising what it was, and had to nip back for a closer look. The Rocks concept resolves the Adam’s styling issues by adding decisive quantities of additional attitude. It’s 15mm taller and 40mm wider – the extra width all arriving via a set of substantial arch extensions that will no doubt wreck the car’s drag factor. Chunky new bumpers have been added front and rear, and a big hole has been cut in the roof to make way for a folding fabric top. The dual-tone grey paint and 18-inch wheels help to stamp out remaining traces of sweetness. While the result doesn’t exactly look as menacing as a Rottweiler on a chain, it’s certainly got the fearless, take-you-all-on demeanour of a feisty Yorkshire terrier. Inside, there’s a contrasting ambience of inviting warmth, with soft, toffee-coloured leather decorated with neon-blue piping – much like the hidden charm of the surprisingly colourful linings in Paul Smith suits. For the moment, this crossover-style Adam is described as a styling exercise by its maker – just one potential avenue that might be worth exploring. I suspect that statement is about as robust and honest as the Adam’s plastic skid plates. 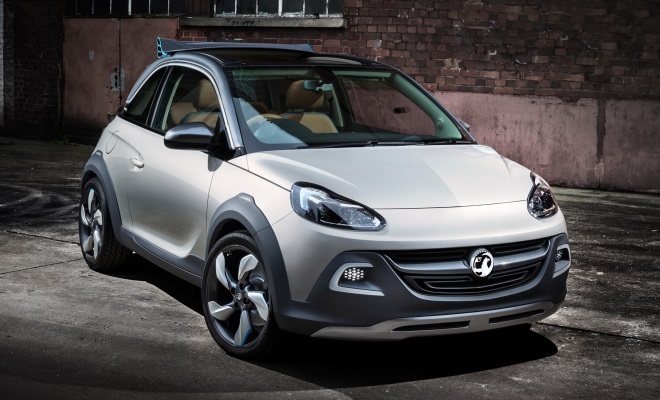 No doubt Vauxhall dealers would crawl over sharp stones to get the Adam Rocks into their showrooms, and we’ll see a production edition arrive in due course.